A BBQ need not be a meat feast, this simple balsamic and cheese grilled stuffed mushrooms are every bit as good as any burger that I know of! 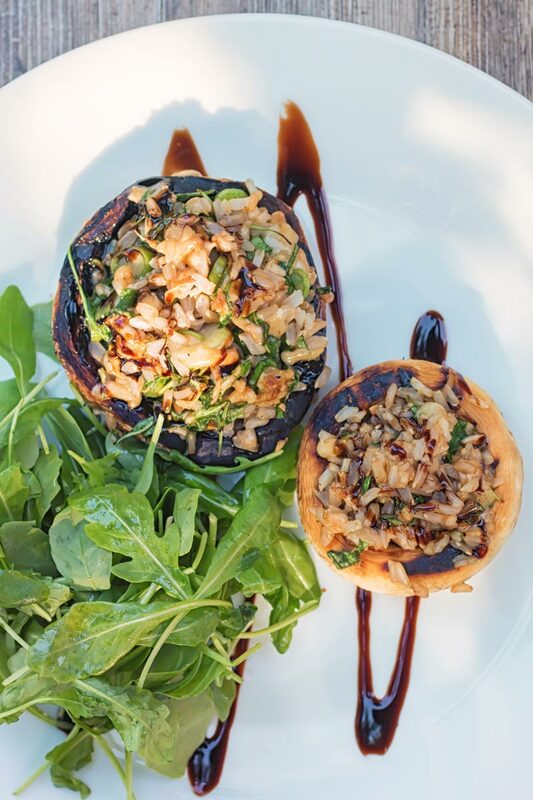 I love stuffed mushrooms, hell I just love mushrooms and whilst I have been cooking outdoors over the last few weeks I have fallen in to the trap of being a bit of a meathead, sure I have done my grilled trout, but in reality it has been protein all the way. Well unless you count a couple of unsuccessful attempts at grilled halloumi cheese that is gonna take some working on. 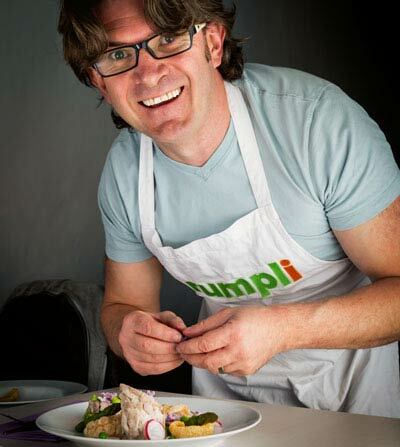 So I figured I would take a pop at my favourite simply stuffed mushrooms and see how grilled stuffed mushrooms work. They rock the joint even better than they do when cooked on the stove and oven, mushrooms are such great spounges for flavour so the smokiness really gets dragged into the earthy mushrooms. 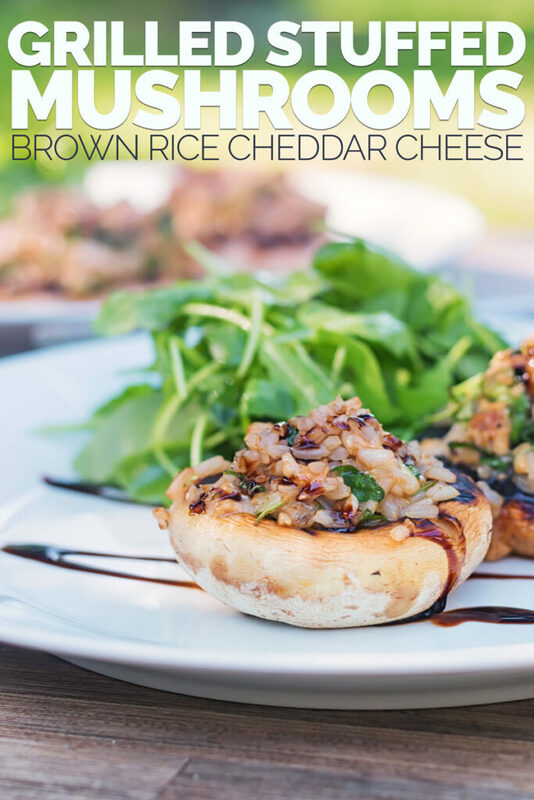 The flavours in this are some of my faourites, wholegrain brown rice for a lovely nutty taste and texture, sharp mature cheddar cheese for a bit of bite, and balsamic. 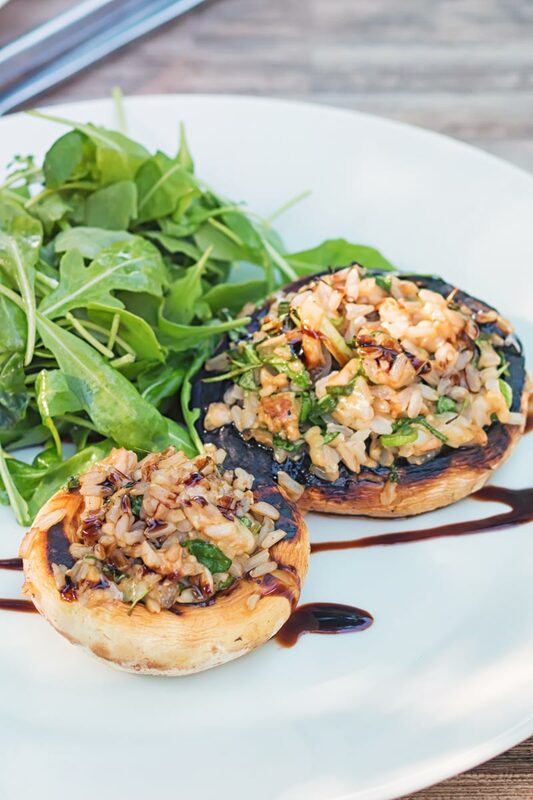 Let’s face it balsamic and mushrooms are just perfect together, add some onion and a bit of parsley and you have the most awesome grilled stuffed mushrooms, even if I say so myself. Add a bit of peppery rocket dressed in a simple dressing on the side and you have a great starter to your afternoon or a cheeky little supper, which is how we eat them! Begin by cooking your wholegrain rice and allowing too cool, this is the perfect time to get the grill fired up. When the rice is cool mix in the cheese, balsamic vinegar, spring onions, the chopped mushroom stalks and fresh parsley, then set aside, have a quick taste here to check for seasoning. Now brush the mushrooms with the oil, season with salt and pepper and place cup side down on the grill, for 5 minutes until lightly grilled. The flip over the mushrooms and cook for a further 2-3 minutes until the base is lightly grilled. Move the mushrooms off the direct heat of the charcoal and pile in a quarter of the rice and cheese mix to each mushroom cup and close the lid of the grill and cook for 10-12 minutes. Before serving drizzle with some balsamic reduction. I serve these with some simply dressed rocket leaves for the punch of pepper. Brian, this is exactly the type of dish that makes me hungry. I love the simplicity of it and I can just imagine how well that balsamic drizzle wakes up the entire dish. Bravo! I do find myself relying on meat too much, because it seems easy. I want these mushrooms! 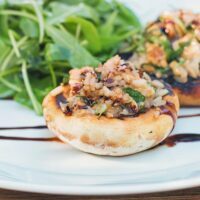 I absolutely love stuffed mushrooms and your recipe sounds like just the sort of way I like mine! Pinning to try later! A delightful recipe, Brian, like you, I love mushrooms full stop! These would be awesome al fresco! I love stuffed Portabello mushrooms! And especially when they’re stuffed with mature cheddar cheese yum!